Ask the average crypto user where you can read the success of a certain crypto currency and they will arrive in almost all cases with the sites of Coin Market Cap (CMC) or World Coin Index (WCI) or another marketcap website. The ranking in these lists gives, according to the users, an insight into the importance of a coin. The higher in the list the better. In this article I would like you to show that these lists are of no value at all. There are several websites that keep such lists but I will limit myself to CMC because this is the best known one. In the beginning (2009–2012) there was Bitcoin and then the world was still clear. In these first years after the crypto birth several derived crypto coins were created that competed for a place on the market. Early birds included Litecoin, Dogecoin, etc. Until 2016 the growth was limited because it was quite complicated to put a coin on the market. You had to have a little knowledge of programming. Until the ERC20 Token platforms got off the ground. This made it much easier for starters because they simply had to make some parameter settings. This led to an explosion of Tokens which led to the current 2000–3000 existing coins/tokens. Because most people couldn’t see the wood for the trees anymore, the Marketcap websites were born out of a desire for a simple comparison between the different coins and to indicate a sort of ranking of importance. For this, they have used an old resource from the stock market world, the Market Value or also called market capitalization or marketcap. The market value of a company, is the total value of the shares of a company according to the market price. Market value can be calculated by multiplying the number of outstanding shares by the market price. As an example, Company X has 10 million shares outstanding and the price of the X share is €2.35. Company X’s Marketcap then amounts to 23.5 million Euros. CMC and the other sites have also used this system on Crypto coins and this is how the lists that this site presents are created. The Marketcap of a cryptocurrency is defined as the price multiplied by the number of coins in circulation at that moment, the so-called Circulating supply. The higher the price of a crypto coin or the more coins in circulation, the higher the rank of a crypto coin in the Ranking of the CMC website. Because apparently a high Marketcap quotation is very important in Crypto world. Still, there is a lot to question on these calculations and on the value of this ranking. The value is very fictitious and many people don’t realize that. John starts a Cryptomunt and calls him the JohnDoeCoin. He sets up his blockchain software in such a way that at the start there are 100 million JohnDoe’s (the so-called premines). Then he goes to his friend William and asks if William wants to buy one JohnDoe from him for €10,-. According to the definition of Marketcap, the JohnDoeCoin now has a Marketcap of 1 Billion and in one go in the CMC lists around 10th place. Attention! There is only 10 Euro invested in the coin that according to the marketcap calculation is now worth 1 billion Euro. This example is a shame of course because something more needs to be done before the JohnDoeCoin is included in the CMC list. Like, the currency must be traded on an exchange, there must be a certain continuity in the trade and with sufficient volume. But this is the theoretical principle. A practical example with TRON. The crypto coin Tron (TRX) has been in existence since 2017. 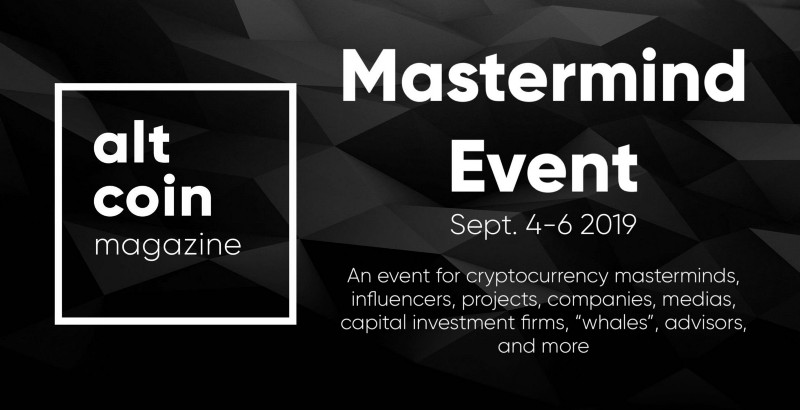 TRON’s first complete listing will be published on CMC on September 29, 2017. The TRX is traded with a volume of 58,000 dollars/24h and for a price of about $0.0029 and there are 10 billion TRX coins from nowhere. So the Marketcap is about $29 million. This brings the TRX in the CMC ranking in 98th place. Apparently the designers were a bit disappointed because 4 days later on October 3, 2017 the Circulating Supply suddenly is 40 billion coins. As a result, the Coinmarketcap is suddenly higher, at 109 million dollars, and TRON is about to rise to 50th place. The TRON bosses looked closely at the coins that were above them and thought: “If we put 25 billion extra coins on the market we are still rising considerably”. So on October 8, 2017, they put 25 billion coins extra in the market and TRON rises miraculously to a market cap of 167 million and that includes ranking 35. All this time between 29th September and 8th October, the trading volume is between 50,000 and 200,000 dollars per day. So here we see that the marketcap gives a completely fictitious value to the TRX that has only been manipulated by starting the circulation supply high and increasing it constantly. TRON indicates that the total supply will grow to 99 billion coins. When they will come on the market is not indicated. We see this behaviour not only in TRON (TRX) but in almost all new currencies that are now coming onto the market, possibly via an ICO. For example, EOS started on July 4, 2017 with 160 million coins and now has almost 1 billion coins. Cardano (ADA) on October 3, 2017 with 25 billion coins. Not to mention Ripple (XRP). It started in 2013 with 7 billion coins and jumped on july 24, 2014 to 8 billion and on august 27, 2014 suddenly to 28 billion, on november 24, 2014 to 30 billion, on february 27, 2015 to 31 billion etc. etc. until now 39 billion. It looks like Ripple is manipulating his place on the ranking by throwing an extra billion XRP in the battle every time. 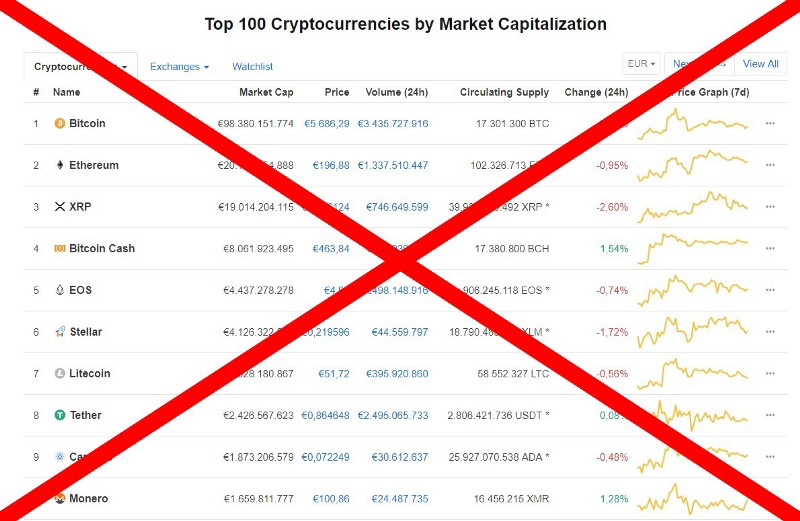 In the above example we can already see that the amounts are in no relation whatsoever to the invested capital but because the crypto world consists of people who have little or no experience in the field of trading on a stock exchange, these people, due to lack of knowledge, attach far too much value to the ranking on CMC. So many people think that the marketcap is the value that is totally invested in a certain crypto coin. That this is not true I will show by the calculation below via the well-known Bitcoin. This MOAC (mother of all crypto’s) stands on CMC with a market cap of 100 billion Dollar(October 1, 2018), but in December 2017 still listed the 300 billion Dollar. We can easily calculate how much has actually been invested in the Bitcoin. We know that an average of 1800 Bitcoins are mined every day. Until july 2016 there were 3600 Bitcoins per day. And far before that, it was also 7200 BTC etc. If we now assume that all these BTC are traded directly by the miners because they have to pay their expenses (electricity costs, depreciation, etc.) and want thier profits in Dollars, then there must have been buyers for that BTC and that BTC is therefore sold for the market price of that day. The rest of the trading volume on a day is shoved back and forth by BTC where the amount of money invested does not (much) increase except when a trader takes his loss. By now looking at the growth of each day and letting go of the daily rate we can calculate that there is a maximum of about 10 billion dollars invested in Bitcoin. I say maximum specifically because probably not all BTC are sold directly on the market and there will be people who have potted them or who have lost them etc. There is also something like “Total marketcap”. In the crypto world, that is also an important figure. It is the marketcap of all crypto coins added together. There is only something strange about this number. 99% of the cryptocoins have no direct possibility to buy the coin with Fiat money (Euro, Dollar). But almost all of them can be bought with BTC on an exchange. That means that if a person wants to buy TRX coins, he has to buy BTC first. Buying the BTC coins will influence the marketcap positively because every purchase, no matter how small, will increase the price a bit and so the marketcap of Bitcoin will increase. After that the BTC are used to buy TRX, which increases the marketcap of TRX. So the total marketcap will increase twice because of these purchases. Smart readers will now notice that the TRX you buy is sold by someone and that this buy/sell cancels each other. But then these readers are mistaken because the BTC rate does not go down because BTC’s and TRX’s change owners. Only when the new BTC owner exchanges the BTC for Dollar will the BTC exchange rate go down. In fact we can actually say that it’s a nice number but it’s really nonsense to attribute something of value to it. As a second error we can observe that most coins are listed in BTC Satoshi value and if BTC increases in value all other coins that are ‘connected’ to it will also increase in value. And again we see a double counting for the Total Marketcap. 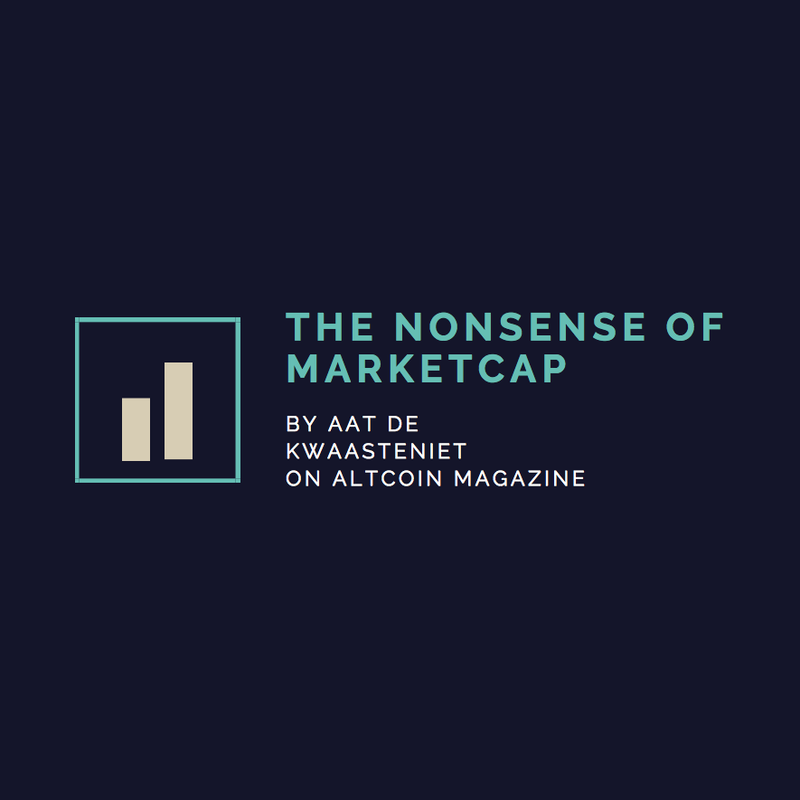 Marketcap is a number that attributes a completely fictitious value to a certain currency and is therefore an unsuitable instrument to help compile a ranking in importance. It does not provide insight into the amount of capital invested, it does not indicate the quality of the coin and it only says something about how cleverly the marketing people have put the coin on the market by manipulating the circulating supply. The total marketcap is also a completely nonsensical number because double counting takes place.